Glazing, mincing, and whipping my way through the kitchen. I used to be intimidated by eggplants because I wasn’t sure what to do with them. Oddly shaped, disconcertingly shiny, and so purple, eggplants seem to have an other-worldly quality to them. But then I discovered Mark Bittman’s brilliant technique of cooking a whole eggplant on a hot pan, no prep or extra ingredients required. Smooth and smoky, ready to eat sliced open with a sprinkle of salt. 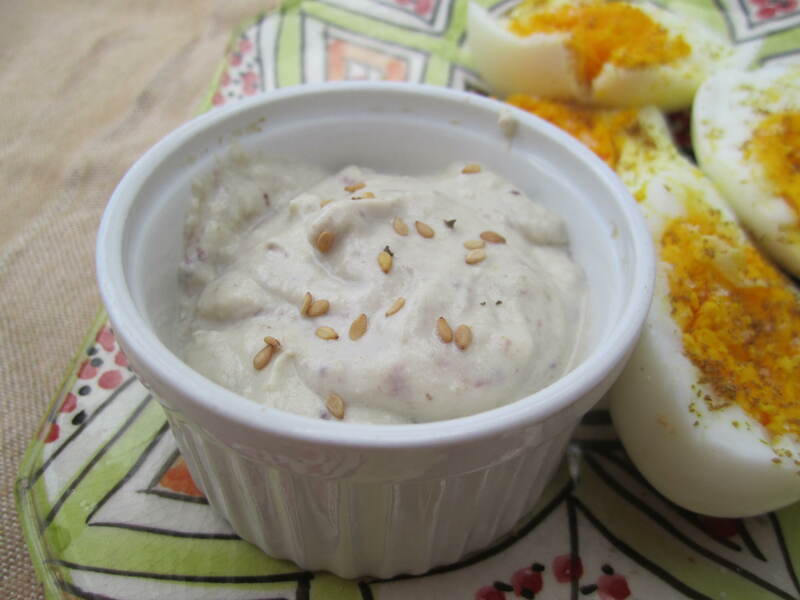 Or, pureed into baba ghanoush, the creamy Middle Eastern dip with tahini and lemon. My love affair with Middle Eastern food began a few years ago when I moved to Boston for school and discovered the joys of hummus, falafel, ful medames (a fava bean dip), mezze, and the mix of savory and sweet often found in Arabic cuisine. Growing up in the suburbs of Southern California, my paradigm of international cuisine was shaped by sushi and tacos. In Boston I discovered Lebanese and Syrian food, not to mention Indian, Nepalese, and Ethiopian (still dreaming about the tangy injera at Fasika in East Somerville). I discovered Middle Eastern food at the same time I began to learn to cook, so ingredients like cumin, tahini, and za’atar became staples in my kitchen. And I prefer eating mezze style. I would rather pick and choose from an array of salads, creamy dips, grilled vegetables, and a few small meat dishes than take on one large, monotonous sandwich or pizza. Baba ghanoush is one of my favorite additions to my lunchtime mezze spread, because it counts as a vegetable even though it tastes and feels decadent. Plus, it’s simple and can be prepared in advance. I’ve blended plain yogurt with my version to add tang and creaminess. 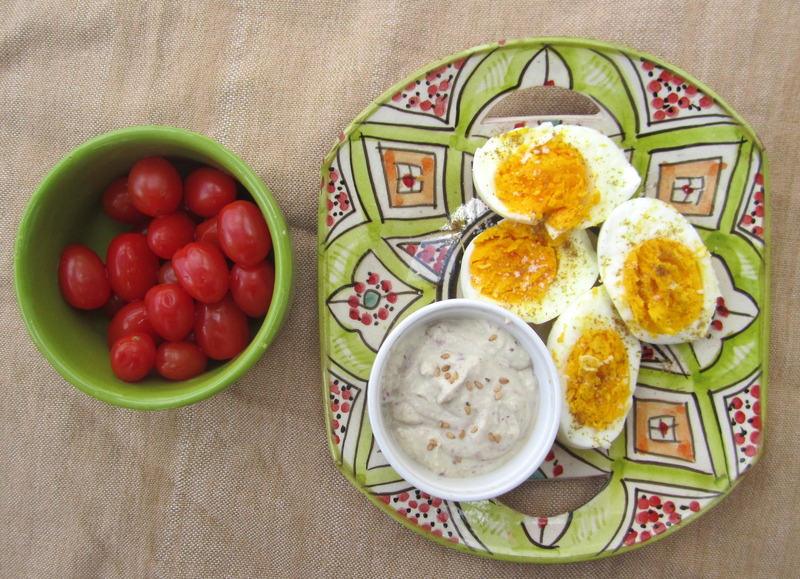 Serve it with cherry tomatoes, slices of cucumber, fresh bread, or my favorite- smeared onto hard-boiled eggs sprinkled with flaky salt and cumin. It doesn’t hurt to use farm-fresh eggs, like I used here (beware- all other eggs will look sad and anemic once you’ve spoiled yourself with the real deal). Place eggplant in a dry pan over high heat. Cook over high heat, turning once, until flesh begins to char and break down on both sides (10 to 30 minutes, depending on eggplant). Scoop out flesh from cooked eggplant and discard skin. Place warm eggplant and all other ingredients into food processor and blend until smooth, about 30 seconds. I like this served warm, sprinkled with sesame seeds, but can be refrigerated for 3-5 days. 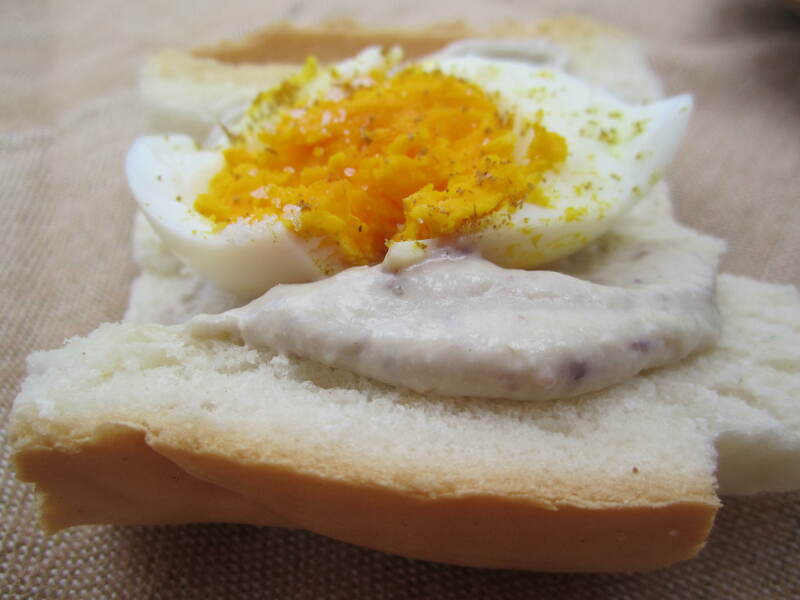 This entry was posted in Savory and tagged eggplant, tahini. Bookmark the permalink.